To celebrate the festive season, The Royal Mint has issued the first ever commemorative UK Christmas 50p coin. The coin has been issued to mark the 40th anniversary of the publication of Raymond Briggs’ much-loved festive tale The Snowman™. 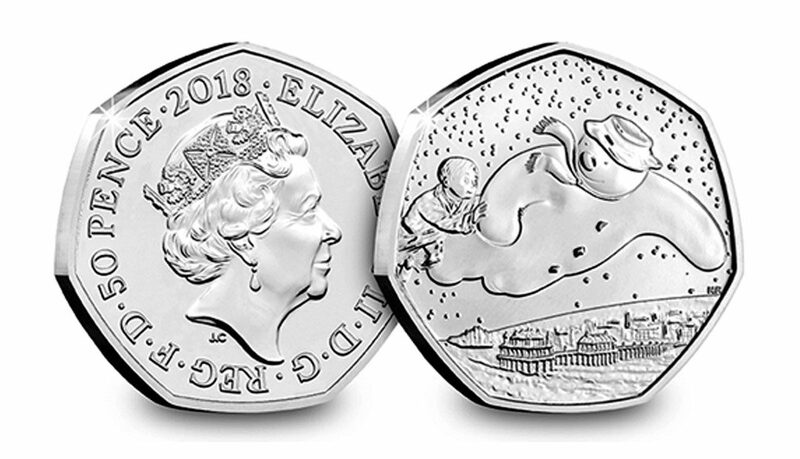 Designed by Natasha Ratcliffe, the new coin depicts the boy and the snowman flying through the night sky above Brighton Pier. Get your hands on this brand new 50p in CERTIFIED Brilliant Uncirculated quality, and it will come encapsulated in official Change Checker packaging to ensure its superiority is preserved for generations to come.